Drone flyaway is the worst thing that can happen to anyone. This type of thing is going to happen to everyone sooner or later. It doesn’t matter if you are an experienced pilot or a beginner user, there is always a risk of your thousand dollar investment getting out of control and crash landing out of your sight. It may be a challenge to prevent drones from flying away because they stem from different reasons. This is the reason why drone owners should be prepared ahead of time by using a drone tracker. The tracker can home handy to find and recover your precious craft. A GPS-based tracker can easily locate your drone in case a dreaded flyaway situation happens. Details on the latitude and longitude of the place would help you to zero in upon the precise search zone. This will improve the probability of recovering your drone in the event of a flyaway. There are so many GPS-based drone trackers available today so sometimes things can get a bit confusing. We prepared a list of the most popular and reliable GPS trackers for locating your lost drone to help you get rid of such confusions. Review of Trackimo GPS tracker on my Yuneec Typhoon H drone. Does this thing work for tracking a fly away lost drone? The Trackimo GPS Tracker is an amazing product. It is a light-weight device with a powerful set of features for keeping tabs on your drone. If you are concerned about losing your expensive flying machine then this is the perfect device for you. The Trackimo GPS Tracker costs only $139. This drone tracker relies on cellular network to coordinate with satellites for finding the exact location of your unmanned aerial vehicle in real-time. It includes free software, which can be installed on your iOS/android Smartphone, to help you find your drone. It also has amazing connection so you will almost never lose it. Also, another great thing is that web-based tracking using a browser program is possible. Another amazing feature of this drone tracker lies in its ability to send immediate alerts on demand. You can manually ping it to find the real-time location of your drone. 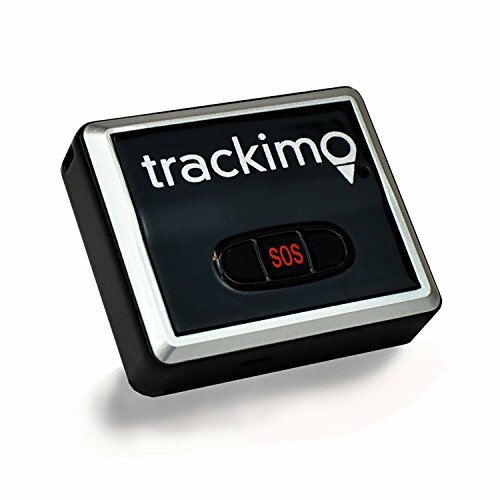 Not only is the Trackimo suitable for drones, but users who find themselves in emergency situations can send out their location detail by clicking on an SOS button found in the device. The Trackimo GPS Tracker comes with a waterproof case so even if your drone accidentally lands on a water body, it can still send the location details. It only weighs about 40 grams, and is compatible with all types of drones and multicopters. Trackimo’s battery lasts for 2-4 days depending on usage. The motion-activated tracking schedule is specifically designed to prolong battery life. This will allow the tracker to enter sleep mode once it detects that the drone is no longer moving. The Flytrex Live 3G is built by Flytrex, a company that specializes in drone tracking technology. This device is designed specifically for drone tracking. It uses GPS technology to track your drone in real-time and sends its positional data to you via a cellular network. The Flytrex Live 3G does require a cellular service and a SIM card, but it also has some amazing features. The 3G has a micro SIM card slot and it has the ability to provide live flight telemetry. This is why it is considered to a mini black box for your drone. The Flytrex Live 3G would let you know precisely where your drone has landed in the event of a flyaway or crash. It comes integrated with Google Maps to provide you the direction to arrive at the crash site. With 3G network coverage, the Flytrex Live 3G is able to maintain good signal strength even during high altitude flights. In addition to helping you locate your drone in the event of a flyaway, there is a social media aspect. Your flights are automatically logged and you can share them online. You can also see what other flyers have done with their drones. And finally, the badges are awarded for different achievements. , so you don’t have to charge yet another accessory to take your drone out and be protected from flyaways. This is why this tracker is considered to be the best on the market. Apart from drone tracking, the Flytrex Live 3G can also provide you information such as speed, ascent, altitude, duration and distance of your flight. Installing this tracking device can take a bit of technical skill, depending on which drone you’re using. Most drones require the buy of an installation cable in addition to the main module. Also, you will need to solder two wires to your drone’s circuit board in order to provide power to the unit. However, some drones allow for solderless installation with the buy of a CAN BUS adapter. 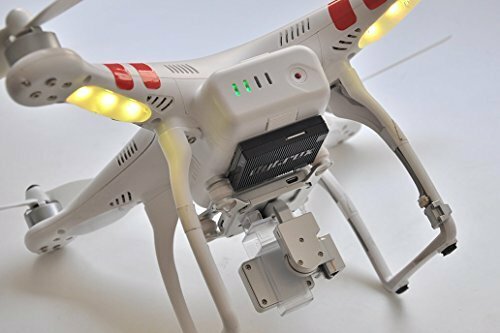 These drones include DJI Phantom 2 Vision+, DJI Phantom 2 Vision and DJI Phantom 2 drones, DJI WooKong-M, DJI Naza-M 2 flight controllers and the DJI A2. you’ll need to be comfortable with a soldering iron to install the Flytrex Live 3G. If you lose track of your drone visually and are not able to bring it back automatically, or if you have got your drone on an automated flight path, this device can let you know precisely where it was when it lost power. The Live 3G can lead you to the wreckage if your drone has crashed. However, it can help you recover your drone intact if it landed automatically. 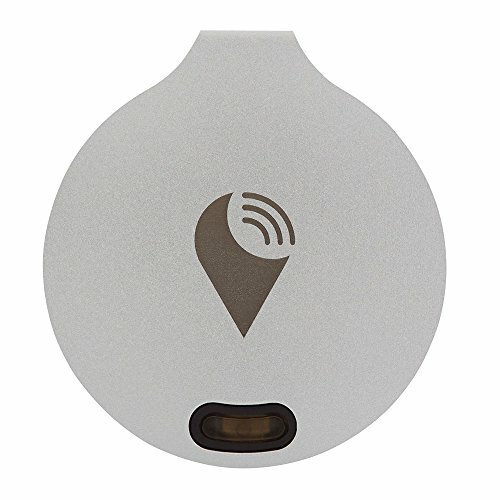 The TrackR is a small, coin-size Bluetooth UAV tracker that helps you locate your lost drone. You can easily attach it to your drone or any other belongings that are valuable and you don’t want to lose. These small devices are normally used to track your costly smartphones. However, the TrackR is also incredible to use as a drone tracking system. The drone tracking application is free for both Iphone and Android. Both the TrackR and your connected phone will notify you with an alarm when they’re out of range of one another. You can press the button on the TrackR to manually search for your connected phone. It will cause it to sound an alarm when in range. As for battery, this tracking device uses a standard CR1616 coin cell which has to be replaced once a year. The good thing is that you don’t have to worry about recharging your TrackeR. However, the bad thing is that there is no real way to tell when the battery is dying. That could be inconvenient if you lose your drone right before the battery dies. Also, you can have your TrackR laser etched your address, phone number or name so if anyone else finds your drone they will hopefully return it to you. This will add another level of safety.
. However, it does provide some coverage to find your drone. All that you have to do is to put a little leg work in to get within 100 feet of your copter. Many seasoned drone users have experienced crashes and flyaways time and again. Having your drone crash or flyaway on you can be a horrible experience. The risk of flyaway will always be there, regardless of whether you are using drones for aerial photography or just want to have some fun. This is the reason why you should use one of these drone trackers to make sure you are protected. Isn’t it better to be safe than sorry? The choice remains yours. my friend lost his drone because of a flyaway. as prepared and cautious as he was, he still lost one in the end. i plan to buy a drone to experiment with aerial video footage, i might as well get one of these gps tracking devices for it too. Sad to hear about the loss. You can definitely find some great drones and quadcopters at our site. Explore and find. Let us know what you are looking for so we can recommend you.